Prof. dr. Caroline Goukens, Consumer Decision Making Teacher, works a Full Professor at the Department of Marketing and Supply Chain Management. She holds a Master’s degree (2003) and a PhD (2007) in applied economics from the KULeuven. She studies consumer behavior and behavioral decision theory. She combines laboratory and field studies, as well as fMRI research, in order to study the factors that influence people’s choices and decisions. She has published her work in top scientific journals in marketing. Caroline Goukens (1980) is Professor in Consumer Behaviour in the department of Marketing and Supply Chain Management at Maastricht University’s School of Business and Economics (SBE). She takes part in the special MaastrichtMBA programme, teaching two sessions in Human Decision Making in the Sustainable Competitive Advantage module. Caroline’s aim is to learn and understand human behaviour in terms of the decisions we make. One of her goals in teaching the module is to help people understand themselves better by understanding their own choices. That can involve seemingly simple issues: why we choose to eat junk food when we know we ought to watch our diet, or why we might have difficulty investing our money because we feel we are losing control over it. Caroline earned a PhD in Consumer Behaviour at KU Leuven. Perhaps one fortuitous aspect of her study programme was the fact that, although she was working on a degree in Economy, both of her PhD supervisors were psychologists. That suited her well and gave her the focus that she now employs in the classroom. It was not an obvious move to come to Maastricht University because there was not a lot of interest in her subject at that time. In that sense, she faced something of a challenge. But Caroline chose Maastricht because the university offered a good balance between research and teaching. Caroline’s research has led her to believe that between ninety and ninety-five percent of the decisions we make are based on habit or emotion. To that end, it is useful to understand our emotional makeup and – just as important – to understand the anatomy of the brain itself. We are working with the same brain that our ancestors had a hundred thousand years ago. Our brains are built to help us survive, they tell us to eat when we can, to choose between fight and flight. While these are all useful tools, they may not always serve us well in the modern day. For instance, a long-standing question is how to teach people to eat more healthily. We now understand that it is more difficult to convince people to eat healthily simply because it is healthy. It is easier to teach basic, unconscious eating habits. We can do that by appealing to human emotions because we trust on them and we tend to rely on them whenever we can. The idea of communicating simply flies in the face of how many people like to communicate. Caroline has noticed how many people believe they will command more respect – that others will find them more intelligent – if they use complex terminology. Big words and big ideas. “In fact people who do that are generally shooting themselves in the foot,” she says. 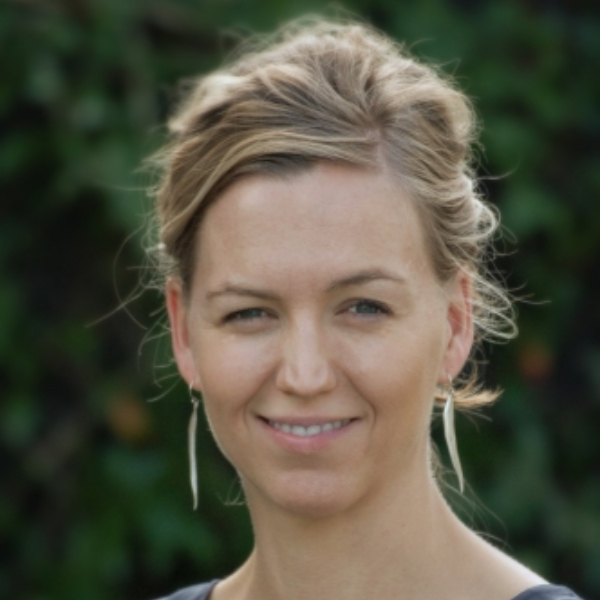 Caroline has been teaching in Maastricht for about ten years, now. One particular aspect that strikes her is the fact that the MaastrichtMBA programme is becoming increasingly international. At first, students came from the Netherlands, Germany, and Belgium. Now they hail from all corners of the world. People like to think that we make conscious choices about everything – the people we choose as partners, or as colleagues, or the purchases we make. In fact, our choices are largely unconscious and emotional. Do you want us to keep you posted on all the news and events related to the MaastrichtMBA? Subscribe to our monthly newsletter service to stay tuned!